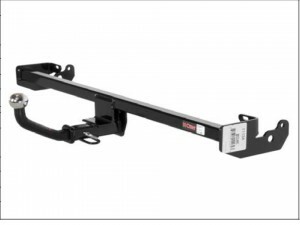 Curt Manufacturing, one of the leaders in the Trailer Hitch business, has just announced a new 1 1/4″ Receiver Class I Trailer Hitch – with a 2″ Euro Mount - for the 2011 Scion XD. It boasts agross towing weight of 2,000 pounds, with a tongue weight capacity of 200 pounds, and can be installed in about 35 minutes. It is available with the 1-7/8″ Euro Mount, pin, & clip. They recommend attaching the wiring to T-Connector part # 56136. These are now available at Hitches4Less.com. Visit our selection page of Curt Hitches - and enter Part # 111342 in the “SEARCH BY PART NUMBER” lookup at the bottom of the page. This entry was posted on Friday, May 20th, 2011 at 3:19 am	and is filed under Curt Hitches. You can follow any responses to this entry through the RSS 2.0 feed. You can leave a response, or trackback from your own site.